Ask about home security and tech support to cover all your needs! Are you moving to a new neighborhood? You might want to know more about the different digital cable TV providers in that area. 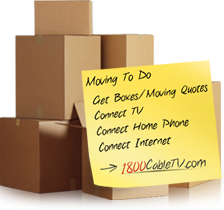 Setting up the cable TV in your new home is going to be easy with 1800CableTV.com. You get the best deals in your area, be it a local provider or a national provider. In order to satisfy the entertainment needs, people choose to stay at home and enjoy watching TV. Now 1800CableTV.com gives you the power to choose the best plans available in that area. The packages are priced competitively and you will get a clear picture as to which one you should choose. Moving can be stressful so having access to a resource that puts all of your moving needs in one place is priceless, especially if you always want the latest and greatest from your new service providers. On 1800cableTV.com, you get to choose the latest technology from the different providers in your area and draw a comparison as to what suits best for your family in your new home. Latest technologies like HD are being offered by cable TV providers that provide high quality picture and superior surround sound. 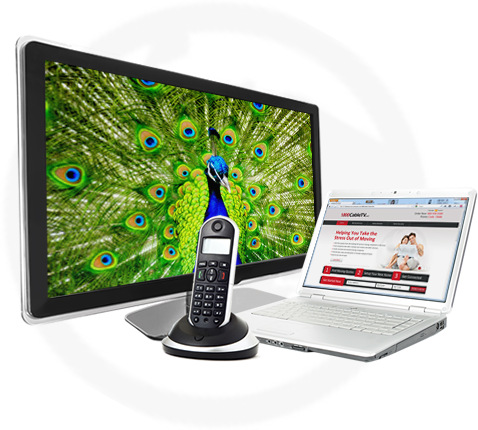 When you talk about digital cable TV, you don’t want to miss the DVR feature that lets you record programs. You also get the access to a large huge collection of On Demand Movies. Plus, there are popular premium channels available for you to choose and it varies from provider to provider. Choose the right package that has all the features you are looking for with ease. Start Crossing Off Your Checklist NOW! So, whether you are moving across the street or across the country, getting a little help organizing everything can be a stress-saver. After all, cable TV is not the only thing you have to worry about setting up. There is also your internet, water, power, and home security. Have you changed your address on all of your accounts yet? Do you have a moving checklist all mapped out? Have you received moving quotes to book that moving truck and picked up all of the moving boxes in advanced in order to avoid paying too much or not getting one on the day and at the location you want? There is a lot to remember when moving and although you may feel the urge to watch a little more cable TV in your soon to be old home, you need to get the planning underway. Always remember, for what you can’t bring with you, there are storage solutions available. An organized move is a happy one!